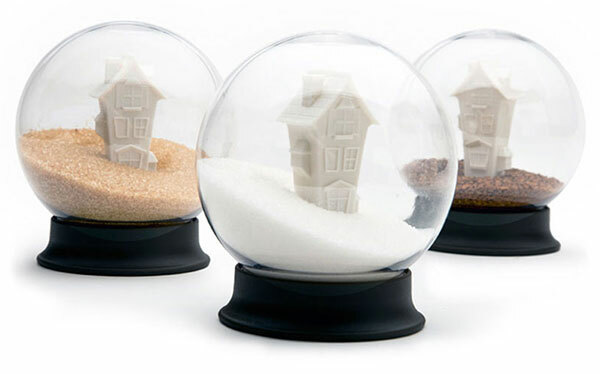 From a distance it looks like a classic snow globe enclosing a winter scene of a house covered in snow but then you shake it and the white particles don't seem to activate. 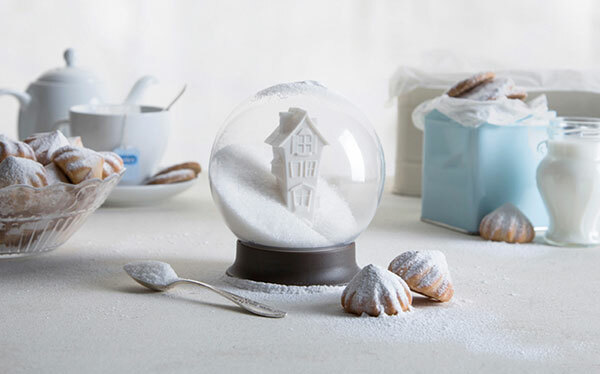 It turns out it's a sugar bowl that according to Peleg Design "will bring glitters of snowflakes to your tea, and make your coffee break much sweeter." Also, when not in use, can serve as a decoration during the holidays. 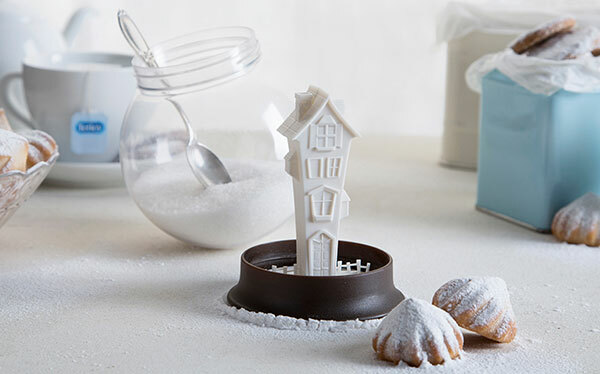 The Sugar House is available to purchase at Soho Design Shop.